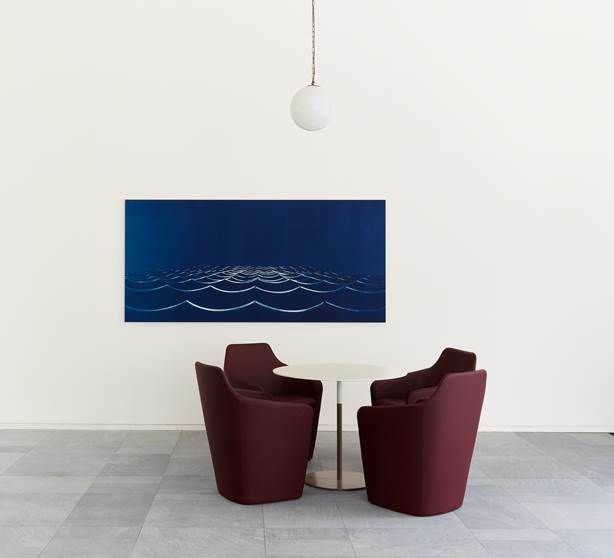 Artist Bridget Smith was commissioned by CAS Consultancy to create a new installation for the reception of MediaWorks at White City Place. 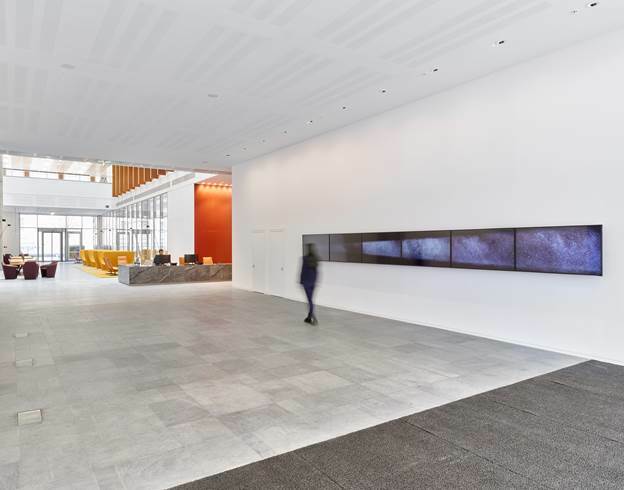 Designed by Allies & Morrison, MediaWorks is part of Stanhope and Mitsui Fudosan’s redevelopment of BBC Media Village. Smith is interested in places of escapism; her work reflects a fascination with the architecture of entertainment and often illuminates the gap between imagination and reality. 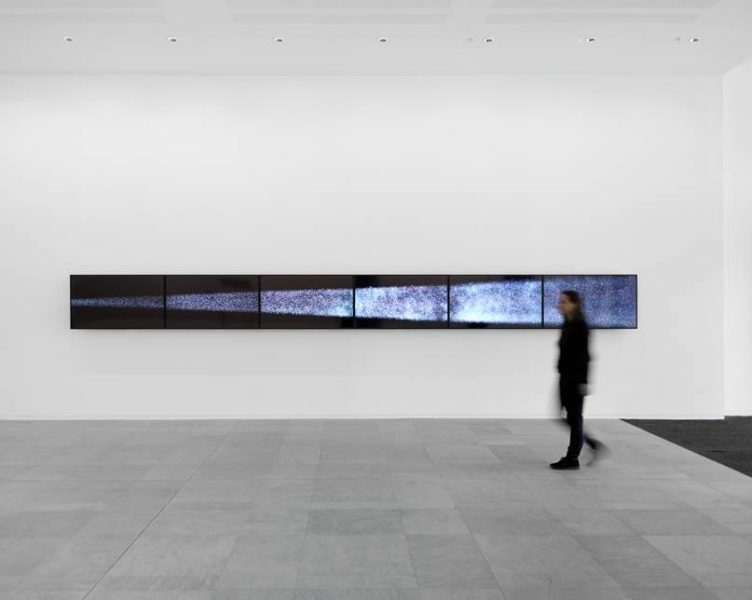 Reflecting the site’s historical connections to iconic media production, Projection I (2016) is a video installation that reveals the dynamic movement of dust motes caught in a film projector’s beam of light. Smith’s six-screen ‘film’ plays in mid-air, its action punctuated by disturbances in air currents and the washes of colour provided by the original film shown in the projection. 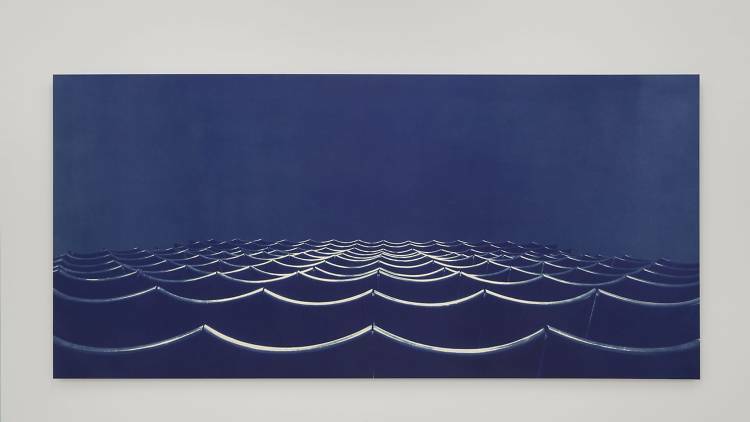 Accompanying the video work is Blueprint for a Sea, (infinity), a large scale cyanotype of cinema seats – their detail blurred through the photographic process so that they begin to resemble a moonlit seascape. Smith’s artworks vividly animate the public entrances for the 231,000 square foot of open flexible office space – a new creative industries hub for London.